West Hills, CA – 02/09/2017 – Source Photonics, a leading provider of broadband access optical components and modules, today launched the industry’s first XGS-PON N2 OLT optical module. Source Photonics’ XGS-PON N2 OLT optical transceiver module is the first in the market to offer a universal upgrade path from existing GPON networks to next generation high speed XGS-PON networks promising business and residential multi-gigabit services. The Source Photonics solution meets the N2 class maximum optical link budget in the XGS-PON standard G.9807.1, providing 9.953Gbps downstream and 9.953Gbps upstream data rate and supports a 1:64 split ratio on 20km links. The high-bandwidth symmetric services enabled by GPON to XGS-PON network migration promises to accelerate adoption of data intensive applications such as live gaming, virtual reality, and e-sports. 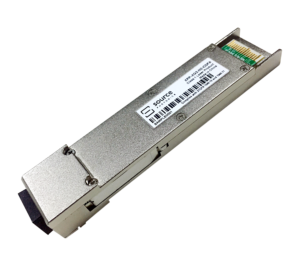 Source Photonics will provide the XGS-PON N2 OLT module in the XFP form factor. The company’s leading optical and electrical design capabilities enable greater than 4dBm transmit optical power, meeting the N2 maximum optical link budget of 31 dB, providing operators a single platform to support the upgrade of both B+ and C+ GPON networks to XGS-PON. Source Photonics also continues to invest in breakthrough optical component technology to release higher output power class products which will facilitate not just network upgrade but also network overlay of GPON and XGS-PON in existing GPON C+ fiber plants. Continued investments in laser, photodetector, and optical coupling technologies demonstrate that Source Photonics aims to maintain the most operationally integrated portfolio in the FTTx module industry. The XGS-PON N2 OLT will begin sampling in March 2017 and will be available for production in Q3 2017. Source Photonics will leverage recent investments in 10GEPON capacity expansion to maximize customer service levels. To see the live product demonstration of the industry-first XGS-PON optical transceiver, please visit us at OFC on March 21-23, at the Los Angeles Convention Center, booth number 3011.